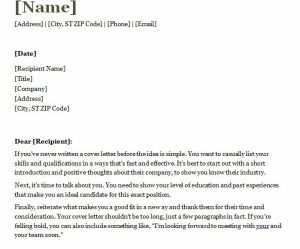 The free Cover Letter Example Template is a great way to start a relationship with your future employer. Most people don’t know what to say when they’ve never used a cover letter before. 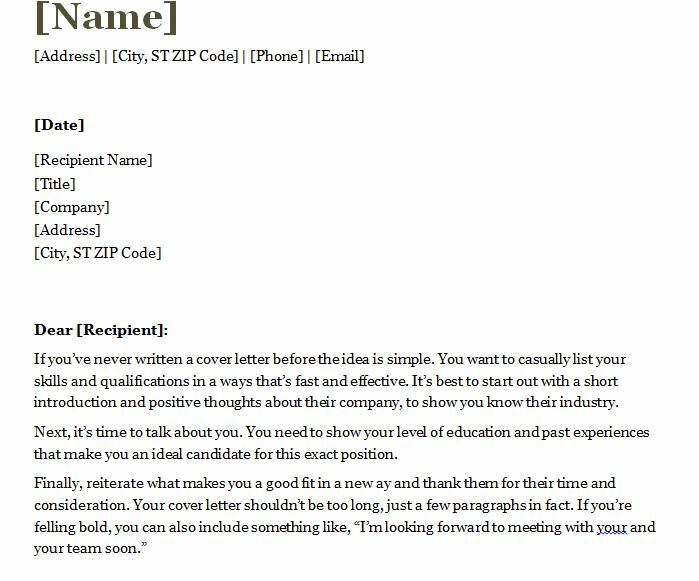 This template shows you both the structure and what you should include in your first cover letter. Cover letters serve as a formal way for you to express your wants and needs with the company you’re applying to. You might want to say how much you admire the company and what your skills can accomplish for their team. You might also want to point out what you’re looking for in the position and how you can improve the role. After all, you have the experience and knowledge to help them achieve their corporate goals. 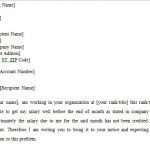 This template is a great way to get started if you’ve never used a cover letter before. Just remember to tailor the cover letter to the company you’re applying to each time you send out your resume to a new business. To download and use this template follow the link the bottom of this page. To download, follow the link below. 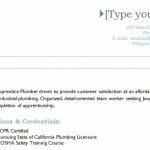 You can begin by entering your contact information at the very top of the page in the bracketed areas. Next, start by addressing the person you’re applying to. If you know their name, great, if not, “[Company] Hiring Staff” will do just fine. The content within this template gives you a few pointers on composing the actual content. You should start by talking about your interest and knowledge of the company and why you might be a good fit. Showing that you have an understanding of the company before you even have the job makes you look like a great candidate. Next, you should discuss your qualifications and how they relate to the specific role. The last section of your template should reiterate the main points of your cover letter and restate why you would make the perfect candidate. This template was designed to give you the structure and the confidence to send you application with a better chance of getting the job you want. 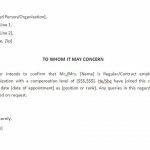 Research the role and show them your knowledge with this amazing cover letter template.